At the Web 2.0 Expo, ZDNet Editor in Chief Dan Farber talks to Ross Mayfield, CEO of SocialText; Matthew Glotzbach, product management director of Google Enterprise; and Satish Dharmaraj, CEO of Zimbra, about why CIOs are starting to implement Web 2.0 technologies in the enterprise. On the ZDNet blog, Dan writes "We discussed the impact of blogs, wikis, search and social networking; mashups; and the barriers to Enterprise 2.0 and Office 2.0 adoption and the shift from centralized command and control hierarchies to more bottom up collaborative environments, enabled by lightweight, less cost Web tools". A 25-minute discussion podcast is available here. Love it or hate it Twitter is a force to be reckoned with, and provides a great many opportunities beyond simply telling the world what you ate for breakfast. By making it easy for people to send out short (140 characters or less) messages to their personal webpage, friends and followers, and even the Twitter community at large, the service makes for a compelling way to get the word out fast. Whereas blog posts and emails tend to be longer-winded affairs, Twitter posts are closer in form to the SMS messages you send from your mobile phone, and in fact it is possible to access Twitter in this very way, in addition to using the Twitter website, Instant Messaging or one of the growing number of desktop applications available. George Siemens has given a presentation on Information Visualization. George main message was "Visualization of information is not the end itself. Visualization is a gateway to greater understanding, especially when the quantity of information gets to be overwhelming". The presentation powerpoint slides are available here. Surf So They Don’t Have To. Quoting Derek who wrote "Do not get everyone together beforehand. Do not have breakfast, lunch, or dinner. Do not start an email thread and make everyone participate. All this does is rob the panel of any spontaneity", Stephen Downes said " I think this is good advice. I think the biggest mistake is to overplan a panel". Responding to Stephen, Tony Karrer wrote "Stephen would prefer to show up cold and let things go where they will go. I prefer to talk to each panelist ahead of time and have an agenda of things we'll talk about and some that we won't because we don't have time". Actually I think this depends on the experts on the panel. If you have someone like Stephen on a panel, I don´t think it´s possible to get him in advance say what he´s planning to say or tell him what he has (not) to say, unless you´re Stephen himself! Do Learning Management Systems Have a Future? Gary Woodill reviewed the evolution of learning management systems in the Canadian HR Reporter. According to the author, "There is considerable debate as to whether learning systems have a future. The trend is towards learners tracking their own learning results, using either personal learning environments or e-portfolios. These technologies are under the control of the learner, rather than an organization. This makes them more portable if an employee moves from one company to another". A copy of the article is available here. The expectations were that KM would be able to improve growth and innovation in organizations, productivity and efficiency, customer relationships, employee learning, satisfaction and retention, and management decision-making. However, KM has not demonstrated any competitive advantage to the organizations that have invested in it and most of the KM initiatives have failed (Pollard, 2003). Such failures basically result from the practice to see KM mainly as a technology issue and not as social interaction between people (Delmonte and Aronson, 2004). Malhotra (2005) presents two paradigms of current KM implementation that have characterized the technology-push model of KM. The inputs-driven paradigm with its primary focuses on technologies such as digital repositories, databases, intranets, and groupware systems and the processing-driven paradigm of KM with its focus on best practices, rules, procedures, workflow optimization, and automation of manual processes. 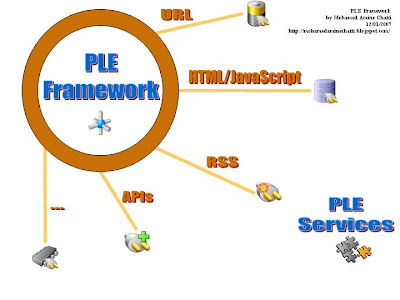 The inputs-driven paradigm focuses on the technology based, static and pre-defined representation of knowledge. Thereby, a significant amount of attention is placed on implementing platforms and repositories to capture, store, control, manage, and re-use structured knowledge. 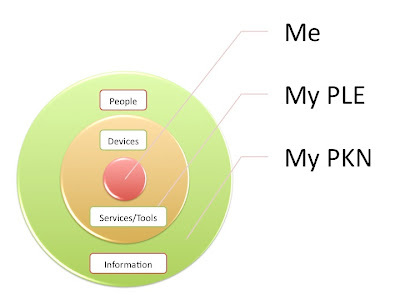 In this view, knowledge is assimilated to objects (Nabeth et al., 2002) and knowledge management systems are not really managing knowledge but information and a large part of what is presented as being KM is often simply information management under a new label (Kimble et al. 2001; Wilson, 2002; Malhotra, 2005). Information is explicit knowledge that is easily expressed, captured, stored and re-used. In the KM literature, there is wide recognition that only a small fraction of valuable knowledge is explicit and there is a huge mass of high-quality knowledge embedded in people, which is not easily expressible and cannot be recorded in a codified form. Additionally, many companies are discovering that the real gold in KM is not in building platforms, distributing documents or combining repositories, but in sharing ideas and insights that are not documented and hard to articulate (McDermott, 2001). This undocumented, hard-to-articulate knowledge is what has been called tacit knowledge. Polanyi (1967) is often cited when describing tacit knowledge. For Polanyi, "we can know more than we can tell". Drucker (1969) disputes the notion that tacit knowledge can be managed. Nonaka and Takeuchi (1995) state that tacit knowledge differs from information in that it resides in people and can thus only be created, sustained, emerged, and shared through socialisation. Even capturing knowledge that may be expressed, codified and stored is not without its problems. Capturing knowledge in a codified form is time and effort consuming. Additionally, knowledge can be isolated from its context and it can rapidly become out-of-date, obsolete, and useless. Busy knowledge workers have often been asked to make explicit the implicit knowledge that guides their daily work. They have to interrupt their work and try instead to get familiar with a central, feature-rich, and often difficult to use KM system and then focus on how to use a given template to e.g. write a report or classify a document. Often, a knowledge worker does not have the willingness to do this extra job. And, if she is willing to take the time to capture her knowledge, the result will likely be static documents that are general and out-of-context. In the KM literature, it has already been pointed out that knowledge is context sensitive. Codification of knowledge in the form of information tends to abstract knowledge from the context in which it acquires its specific meaning and that provides the common ground for understanding between individuals (Devlin, 1991). It is quite possible to have knowledge that makes sense and is useful in one context, and makes no sense at all and is utterly useless in another (Owen, 2001). Wenger (1998) also stresses that information stored in explicit ways is only a small part of the picture. The processing-driven paradigm of KM has its primary focus on the automation of the processes of (a) archiving best practices and past success stories to guide future decisions and actions and (b) getting the right information to the right person at the right time. Malhotra (2000, 2004) points out that it is impossible to build a system that predicts who the right person at the right time even is, let alone what constitutes the right information. Pollard (2003) states that, unlike the work world of the last two centuries, most employees today either come into their jobs knowing more than their boss about how to do it, or quickly acquire such superior knowledge from their peers and from personal experience on-the-job. Every job today, every process, is unique, and therefore the expectation that KM systems could capture best practices, success stories, and lessons learned that could be reapplied by others again and again was unrealistic. In the same direction, Siemens (2006) stresses that yesterday’s solutions don’t always work today. In today’s world, knowledge life is short; it survives only a short period of time before it is outdated. Pollard, D. (2003) ‘The Future of Knowledge Management‘, How to save the world blog, Discussion paper. Malhotra, Y. (2005). ‘Integrating knowledge management technologies in organizational business processes: getting real time enterprises to deliver real business performance‘, Journal of Knowledge Management, Volume 9 Number 1 2005 pp. 7-28, MCB University Press. Kimble, C., Hildreth, P. and Wright, P. (2001). ‘Communities of practice: going virtual‘, Chapter 13 in Knowledge Management and Business Model Innovation, Idea Group Publishing, Hershey (USA)/London (UK), 2001, pp 220 - 234. Wilson, T.D. (2002) ‘The nonsense of 'knowledge management’, Information Research, 8(1), paper no. 144. McDermott, R. (2001) ‘Knowing in Communities: 10 Critical Success Factors in Building Communities of Practice‘, Community Intelligence Labs. Drucker, P.F. (1969) The age of discontinuity: guidelines to our changing society, New York, NY: Harper and Row. Nonaka, I. and Takeuchi, H. (1995) The Knowledge-Creating Company: How Japanese Companies Create the Dynamics of Innovation, New York: Oxford University. Devlin, K. (1991) Logic and information, Cambridge University Press, 1991. Owen. J.M. (2001) ‘Tacit knowledge in action: basic notions of knowledge sharing in computer supported work environments‘, Proceedings of the European CSCW Workshop on 'Managing tacit knowledge, Bonn, September 16, 2001. Wenger, E. (1998) Communities of practice: Learning, meaning and identity, Cambridge University Press, Cambridge, UK. Malhotra, Y. (2000) ‘Knowledge Management for [E-]Business Performance. Information Strategy‘, The Executives Journal, v. 16(4), Summer 2000, pp. 5-16. Malhotra, Y. (2004) ‘Why Knowledge Management Systems Fail? Enablers and Constraints of Knowledge Management in Human Enterprises’, In Michael E.D. Koenig & T. Kanti Srikantaiah (Eds. ), Knowledge Management Lessons Learned: What Works and What Doesn't, Information Today Inc. (American Society for Information Science and Technology Monograph Series), 87- 112, 2004. Siemens, G. (2006) Knowing Knowledge, Lulu.com, ISBN: 978-1-4303-0230-8. Google is going a major step forward towards enabling more personalization. In addition to Google Personalized Homepage, Google has started a new personalization service: Web History. On the official Google blog, Payam Shodjai, Product Manager for Personalization at Google writes "Web History is a new feature for Google Account users that makes it easy to view and search across the pages you've visited. If you remember seeing something online, you'll be able to find it faster and from any computer with Web History. Web History lets you look back in time, revisit the sites you've browsed, and search over the full text of pages you've seen. It's your slice of the web, at your fingertips". Stephen Downes has given a nice presentation in Bogota, Colombia on the future of online learning and personal learning environments. Introducing his talk, Stephen writes " a look at some of the recent accomplishments in e-learning, an outline of network learning, and a description of personal learning environments". Google Apps = Microsoft Office 2.0 ? We'll soon be welcoming a new addition to the Google Docs & Spreadsheets family: presentations...We've already freed those of you working in teams from the burdens of version control and email attachment overload when going back and forth on word processing and spreadsheets. It just made sense to add presentations to the mix; after all, when you create slides, you're almost always going to share them. Now students, writers, teachers, organizers, and, well, just about everyone who uses a computer can look forward to having real-time, web-based collaboration across even more common business document formats. Informatik 5 wins Indoor Soccer Cup of CS Dept. 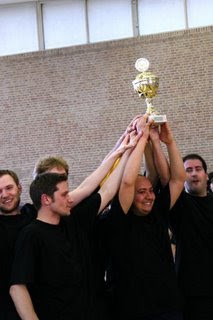 The Informatik 5 team won the RWTH Computer Science Faculty Soccer Tournament. Google has announced a worldwide Google Developer Day on May 31, 2007. Google Developer Day will take place at Google offices and offsite locations in Mountain View, Sao Paulo, Madrid, London, Paris, Hamburg, Moscow, Beijing, Tokyo and Sydney. The proceedings will begin in Sydney on May 31, 9 a.m. AEST and end 27 hours later in Mountain View on May 31, 7 p.m. PDT. Google engineers and product experts at each location will lead sessions in topic areas such as, "Developing with Geo: Google Maps, Google Earth and SketchUp," "Tools for Better Web Development: The Google Web Toolkit, Open Source and Other Developer Initiatives" and "Mashups and More: AJAX, Google Gadgets and the Google Data APIs." To reach developers everywhere, Google will offer live streaming webcasts from its Mountain View office and provide a YouTube™ channel with videos of Google Developer Day sessions around the world. Dave Sifry, Technorati Founder and CEO, has recently published the State of the Blogosphere report for Q4 2006 with different interesting graphs and stats. In practice, learning management (LM) and knowledge management (KM) fields have evolved down separate paths. The two fields use incompatible technology infrastructures and are divided by the words they use and by some of their fundamental assumptions about users. In a corporate context LM and KM have been kept separate from an organisation structure point of view (Dunn and Iliff, 2005). In most of the firms, the LM community and the KM community work on different problems, do not really speak the same language, use different tools, rely on different authors, and base their work in different concepts (Hackett, 2001). In the past few years, attention has been shifting towards the importance of KM in corporate and academic learning environments. Researchers and companies are starting to recognize relationships and intersections between LM and KM research fields and to explore the potential and benefits of their integration (Stacey, 2000; Hall, 2001; Hackett, 2001; Efimova and Swaak, 2003; Dunn and Iliff, 2005; Grace and Butler, 2005; Lytras et al., 2005; Sanchez-Alonso and Frosch-Wilke, 2005). In this paper we go a step further and argue that LM and KM solutions have to fuse and that we should speak about union and fusion of the two fields rather than intersection or complementary relationship between them. In this sense LM and KM can be viewed as two sides of the same coin. There are several commonalities between LM and KM. The two fields are increasingly similar in terms of input, outcome, processes, activities, components, tools, concepts, and terminologies. 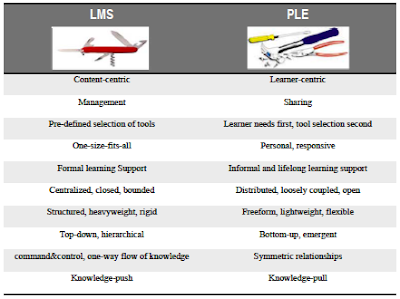 In terms of input, LM and KM deal with learning and knowledge which themselves are two sides of the same coin. Learning is the foundation of knowledge (Allee, 1999). The future of learning is written in the future of knowledge (Downes, 2004). Learning is a peer to knowledge. To learn is to come to know. To know is to have learned (Siemens, 2006). Learning is knowledge and social skill that has to be learned and continuously improved. It is one of the new basic skills of the future (Hodgins, 2000). Similar to knowledge, learning consists of different types comprising learn what, learn why, learn how, learn where, and learn who (Chatti et al., 2006a). In the KM literature, learning is often closely related to knowledge. Sfard (1998) presents the knowledge-acquisition metaphor of learning, representing a view according to which learning is mainly a process of acquiring desired pieces of knowledge. Based on Nonaka and Takeuchi´s SECI model, Paavola et al. (2002) point to the knowledge-creation metaphor of learning, meaning that learning is seen as analogous to innovative processes of inquiry where something new is created and the initial knowledge is either substantially enriched or significantly transformed during the process. Moreover, learning and knowledge share a similar nature; both are complex, dynamic, human and social. In terms of outcome, LM and KM have as primary goals the production of knowledge claims and learning resources, how to connect people to quality knowledge as well as people to people. Both aim at enhancing the personal and professional performance and increasing the ability of any individual, project team, or organisation. LM and KM are supposed to be means to improvement and effectiveness. Similar to KM, acquiring new knowledge is itself not the purpose of learning. We learn in order to better perform, integrate the gained knowledge in our daily work to solve problems and achieve the desired end result, create innovative knowledge and better ideas that lead to more success, and share our own knowledge with others. In that sense, a learner becomes a knowledge worker. That is, someone who doesn’t just consume knowledge but who is able to create it. Furthermore, LM and KM share common processes, activities, tools, concepts, components, and terminologies. Similar to the knowledge creation process, learning is an action-oriented process and a social activity. Learning is not a mechanical, static, linear process, nor one that can be understood by examining any of its components outside of its systemic context. It is a very human, dynamic, and complex flow that resembles an organic structure more than a mechanical one (Hodgins, 2000). The tools, concepts, and components that fall under KM are becoming key enablers of LM. For example, CoP, one of the major tools of KM, have been supposed to be closely related to learning. The theme of learning was a prime driver for the concept of a CoP in its initial form. As Lave and Wenger (1991) introduced the concept of a CoP, the examples given (non- drinking alcoholics, Goa tailors, quartermasters, butchers and Yucatan midwives) were concerned with apprenticeship which is a form of learning (Kimble et al., 2001). Wenger (1998a) also views learning as a social system within CoP. Moreover, the three major components of KM, namely knowledge repositories, communities and networks, and experts and knowers, form also the key components of LM. In a LM context, we speak about learning repositories, learning communities, and learning experts, i.e. facilitators, coordinators, and mentors. Furthermore, there are common words that are used by both fields. Terminologies that are currently being applied in the learning context, such as learning management system (LMS), learning object, learning asset, and learning base, are in fact borrowed from the KM field (Chatti et al., 2006a). Dunn, P. and Iliff, M. (2005) ‘E-learning and Knowledge Management‘, Learning Light 2005, White Paper. Hackett, B. (2001) ‘Beyond Knowledge Management: New ways to work and learn‘, The Conference Board, Research Report 1262-00-RR. Stacey, P. (2000), ‘E-Learning & Knowledge Management’, E-Learning for the BC Tech Industry, Article. Hall, B. (2001) ‘Learning management and knowledge management: Is the holy grail of integration close at hand?‘, Brandon Hall Research, Whitepaper. Efimova, L. and Swaak, J. (2003) ‘Converging Knowledge Management, Training and e-Learning: Scenarios to Make it Work‘, Journal of Universal Computer Science, vol. 9, no. 3, 571-578. Grace, A. and Butler, T. (2005) ‘Learning management systems: a new beginning in the management of learning and knowledge’, Int. J. Knowledge and Learning, Vol. 1, Nos. 1/2, pp.12–24. Lytras, M., Naeve, A. and Pouloudi, A. (2005) ‘Knowledge Management as a Reference Theory for E-Learning: A Conceptual and Technological Perspective‘, International Journal of Distance Education Technologies, Vol. 3, No. 2, pp. 1-12. Sanchez-Alonso, S. and Frosch-Wilke, D. (2005) ‘An Ontological Representation of Learning Objects and Learning Designs as Codified Knowledge’, The Learning Organization: An International Journal, vol. 12, no. 5, 471-497. Allee, V. (1999) ‘Knowledge or Learning’, Published in Leverage , March 1999. Downes, S. (2004) ‘New directions in learning’. www.downes.ca/files/NDL.ppt. Hodgins, H. W. (2000). ‘Into the Future’, Learnativity, Vision Paper. Chatti, M.A., R. Klamma, R., Jarke, M., Kamtsiou, V., Pappa, D., Kravcik, M. and Naeve, A. (2006a) ‘Technology Enhanced Professional Learning: Process, Challenges and Requirements’, Proceedings of the second International Conference on Web Information Systems and Technologies (WEBIST 2006), April 11-13, Setubal, Portugal. Sfard, A. (1998) ‘On two metaphors for learning and the dangers of choosing just one’, Educational Researcher, 27 , 4–13. Paavola, S., Lipponen, L. and Hakkarainen, K. (2002) ‘Epistemological Foundations for CSCL: A Comparison of Three Models of Innovative Knowledge Communities’. Proceedings of the Computer-supported Collaborative Learning 2002 Conference, Hillsdale, N.J.; Erlbaum (2002), pp. 24-32. Lave, J. and Wenger, E. (1991) Situated Learning. Legitimate Peripheral Participation. NewYork: Cambridge University Press. Wenger, E. (1998a) Communities of practice: Learning, meaning and identity, Cambridge University Press, Cambridge, UK. 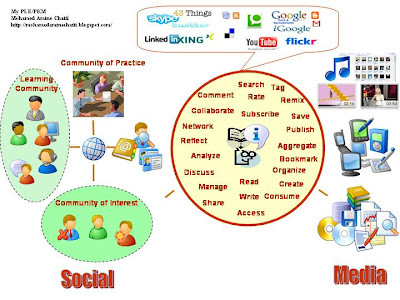 Knowledge Management and Learning - Separated at Birth? - Where They Really? KM & learning: separated at birth? Scott Wilson and Stephen Downes pointed to W3C´s attempts to standardize Widgets. W3C defines widgets as typically self-contained applications for displaying and updating remote data, packaged in a way to allow a single download and installation on a client machine or mobile device. Below is the architecture of a typical widget according to W3C. Pasha Sadri and Jonathan Trevor from the Yahoo! Pipes team presented and discussed Yahoo! Pipes as part of Google Tech Talks. "Pipes is a service platform for processing well-structured data such as RSS, Atom and RDF feeds in a Web-based visual programming environment. Developers can use Pipes to combine data sources and user input into mashups without having to write code. These mashups, analogous in some ways to Unix pipes, can power badges on personal publishing sites, provide core functionality for Web applications, or serve as reusable components within the Pipes platform itself. Here's what Tim O'Reilly says about pipes: "Yahoo! 's new Pipes service is a milestone in the history of the internet. It's a service that generalizes the idea of the mashup, providing a drag and drop editor that allows you to connect internet data sources, process them, and redirect the output." As a response to his article Personal Learning Environments - the future of eLearning? in the second edition of e-Learning Papers, Graham Attwell received a couple of questions on the PLE concepts. He summarized the questions and his answers in this post. As a "way to add some personality to Google Personalized Homepage", Google launched six themes. On the official Google blog, Jessica Ewing writes presenting the new themes "a city, a teahouse (super cute -- this one is my favorite), a winter scene, a sky, a beach and a bus stop. All of our themes are dynamic: they change with your own local time of day, current weather conditions or season. If you add the beach theme, for example (changes with time of day), it will ask you for your Zip code and adjust itself to match your local sunrise and sunset times. So if you happen to be stuck in a windowless office, you can at least crack open a cold one and watch the sun set over your desktop". To the implementation, Jessica says "we implemented our themes using a CSS framework so we can scale, and plan to push out many new themes beyond these six". Abstract: Lebenslanges Lernen ist eines der Schlüsselthemen für die Wissensgesellschaft. Abseits der formal organisierten Bildungsangebote hat sich mit der Verbreitung und Nutzung von Social Software eine neue und sehr heterogene Organisationsform des technologiegestützten Lernens entwickelt, die große Potenziale für die lebenslange Kompetenzentwicklung bietet. Dieser Beitrag beschreibt diese neue Organisationsform, stellt das Konzept der Social Software sowie einige beispielhafte Applikationen vor und gibt einen Ausblick auf aktuelle Forschungsfragen, die zur Zeit in europäischen Forschungsverbünden wie dem Network of Excellence PROLEARN und dem Integrated Project TENCompetence bearbeitet werden. Reference: Kalz, M., Specht, M., Klamma, R., Chatti, M. A., & Koper, R. (2007). Kompetenzentwicklung in Lernentzwerken für das lebenslange Lernen. In U. Dittler, M. Kindt & C. Schwarz (Eds. ), Online-Communities als soziale Systeme (40 ed., pp. 181 - 197). Münster: Waxmann.